Capcom has released a brand new trailer for Resident Evil: The Darkside Chronicles, the on rails shooter for the Wii which wraps up the missing pieces from Umbrella Chronicles. The trailer showcases new environments, new characters, and some sticky situations for our cast of characters. The game looks like a solid co-op experience on the Wii, we just hope it doesn't fall into the trap that appears to have happened for Dead Space Extraction, which is a similar style mature title on the platform. 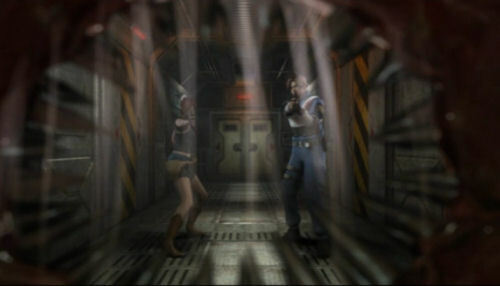 Resident Evil: The Darkside Chronicles hits the Wii on November 17th with two player local co-op. Page created in 0.8236 seconds.